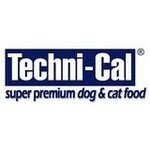 Techni-Cal super premium food, but not just. Developed by veterinarians, balanced and high-quality pieces in composition. 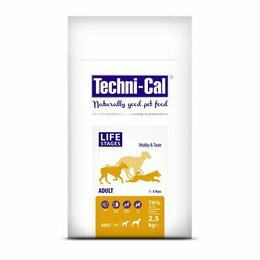 To reduce common health problems in dogs and, where possible, to avoid has a Techni-Cal Solutions product range developed. These foods are made from the highest quality ingredients to achieve maximum results. Responsibly There also include natural prebiotic fibers (Yucca schidigera) and antioxidant compounds (vitamins C & E and rosemary) added to promote health. 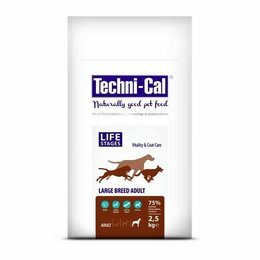 Every stage of dog and cat requires specific nutrients, therefore Techni-Cal for each dog adequate and affordable quality food!